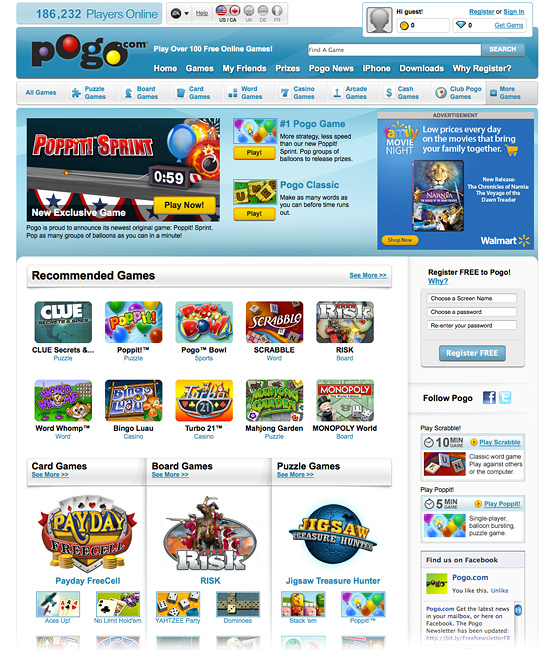 From 2009-2011, I built and led an international team of 8 designers at Pogo. 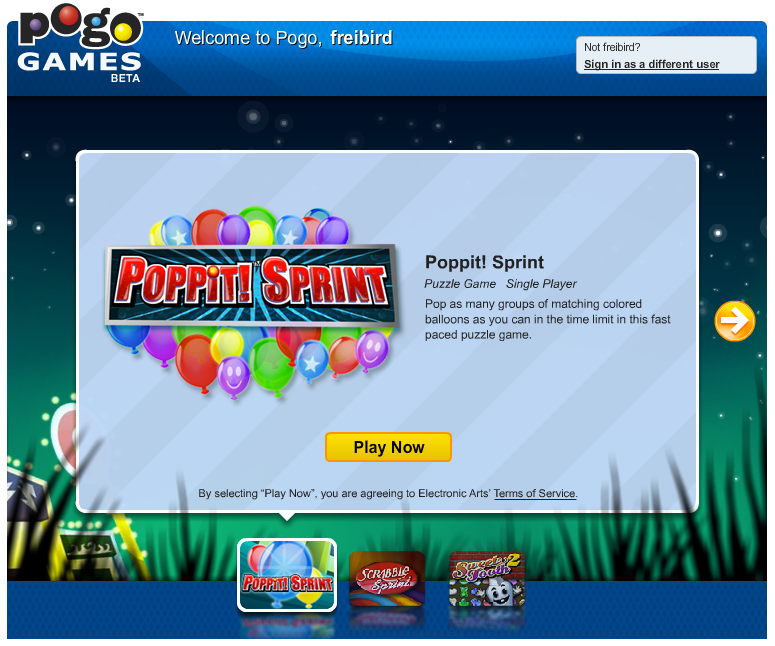 We launched two new services and relaunched Pogo.com. Making it beautiful, usable, and consistent was my primary job. With the large canvas of the homepage, my team focused on hierarchy, color choice, and typography. Defining the game thumbnail lockup was key, as thumbnails continued on through multiple platforms. The concept of the page was to minimize distractions and let a grid of game choices inform the user. The visual design of the iPhone application differed slightly from the website. After experimenting with several color palettes, we found that darker hues worked best with the back-lit phones. 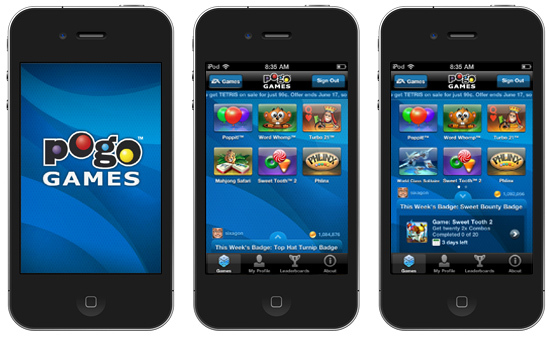 Thumbnails and buttons remained similar to the website but reflected the 3D nature of iOs. The look and feel of the Facebook application grew from our work with iOs. This was a Flash application, so we took advantage of the platform to create an immersive experience. Animation allowed players to browse games quickly, and innovations like parallax scrolling gave players a hint at the game art and design.